Hey Style Lovers, how are you? Happy 4th of July! For those who don’t live in America today is the United States of America’s independence day, hence I thought a little red, white, and blue was necessary. If you are like me, and think wearing a flag is borderline tacky, today’s outfit is a great way to show your patriotism while being super stylish! Don’t get me wrong, this outfit is definitely not limited to this holiday. 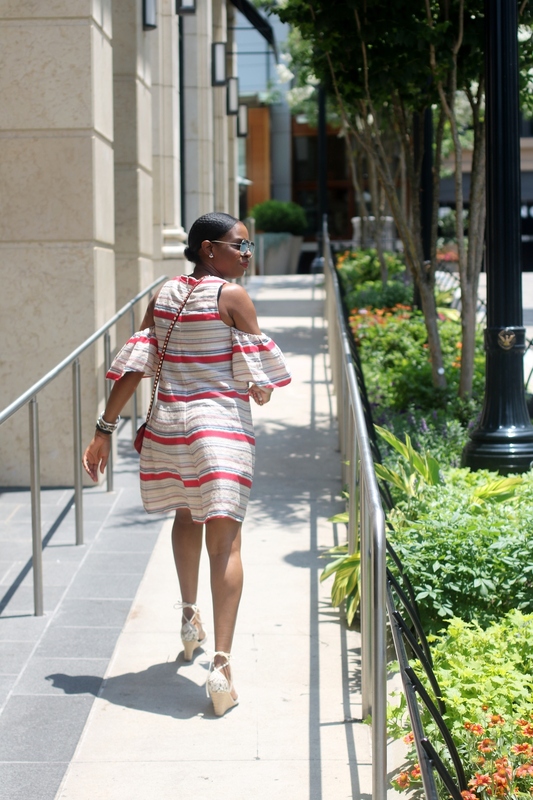 The cold-shoulder trend is major this season, and perfect for any summer occasion, so make sure you try this trend. 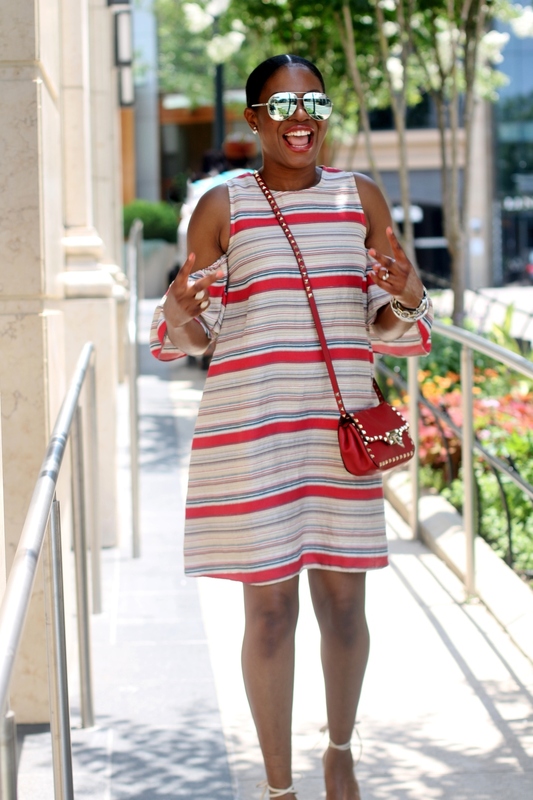 In the spirit of red, white, and blue, I paired this fabulous dress with a red cross-body bag, and used off white espadrilles to compliment the overall look. I hope you get inspired by this outfit of the day Lovelies, and happy 4th of July!